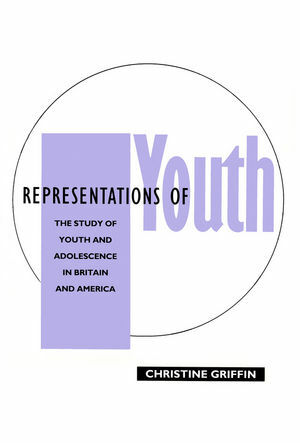 Representations of Youth examines the various constructions of `youth' and `adolescence' in recent British and North American research. Mainstream and radical approaches have presented a series of `crises' about young people in relation to, among other things, unemployment, `teenage pregnancy' and `delinquency'. This book considers research in psychology, sociology, education, criminology and cultural studies in order to assess these accounts. The author offers a critical review of a wide range of findings about young people in areas as diverse as education and training, leisure, family life and sexuality. She shows that whilst youth research texts do not reflect young people's experiences in any straightforward manner, they do indicate the various complex and contradictory ways in which `youth', `adolescence' and specific groups of young people are represented in contemporary western societies. In so arguing, she presents new terms for thinking about the position of young people today. This is an important new text accessibly written for students of sociology, social psychology and contemporary culture in both Britain and the USA. It will also be of great interest to social science researchers in a range of other disciplines. Christine Griffin's recent publications include Typical Girls (Routledge 1990). ".A wide-ranging review.clearly written and largely succesful in simplifying what are often far from simple arguments." Youth and Policy. "Engaging with a strong challenging text shakes up complacency and encourages the clarification of ideas. This book will facilitate such an exercise and for this reason alone should be considered essential reading for students of sociology, education, psychology and cultural studies. ... The compilation of so many research studies concerning young people, drawn from such different academic perspectives, means that the book also provides an invaluable resource for cross-disciplinary exploration of the many issues that impinge on both gender and education." Gender and Education . "It provides a review of most of the major research efforts in [Britain and America] in the last decade. More importantly it places that effort in both a political and a theoretical context. In doing so it challenges the assumptions underlying both mainstream and radical discourses." Gary Easthorpe, University of Tasmania . "Her presentation of youth research as discourses with ideological implications is thoughtful and scholarly written. ... An important book...." Educational Review . * This book presents a broad range of material from an extensive research literature on youth, across a range of disciplines (psychology, sociology, education, criminology and cultural studies) and a range of areas (education, training, unemployment, leisure, family life and sexuality). * It provides a critical review of youth research which examines the most recent developments in radical analyses, including feminist and post-structuralist perspectives.